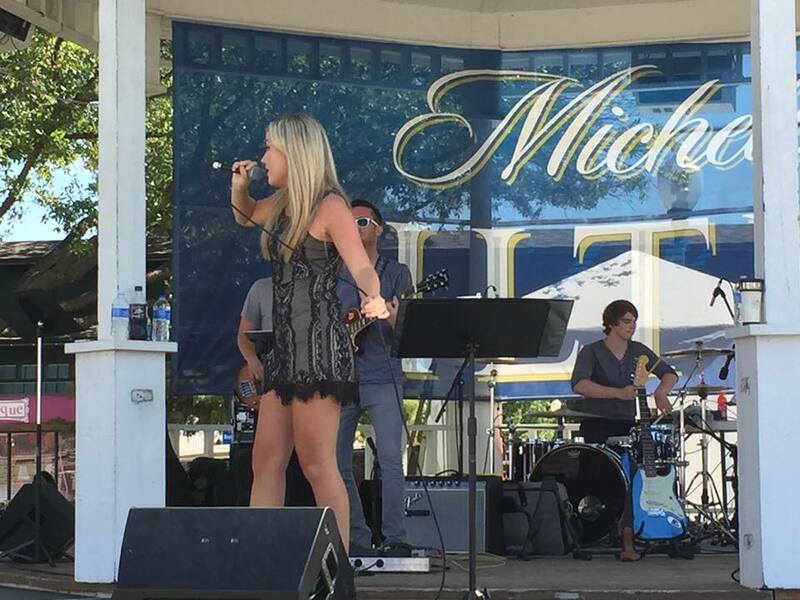 Excited to be performing at the 30th Annual Grapefest in Grapevine, Texas. You find me at the Gazebo Stage Sunday, September 18th at 12:00pm. See you there! Need tickets? Click here. Performing for a great cause Bully Awareness Network, August 11th from 4:00pm-8:00pm. Donations are accepted! Register TODAY! Come out and support! Free Pizza! Free Admission! Free School Supplies! Amazing performances! My video for #SayIt (cover) by Flume has become a finalist in the Take The Stage music video competition for the Labor Day Music Festival. Woohoo! Still in shock! Your VOTES are needed! Click here to VOTE! Thank you in advance for all your support. I could not do this without you. Thanks Cali Interviews! Great getting to chat with you at #HypeEventsLASpringFeverFestival at The Federal. Stay tuned! Had a great time hanging out with Abigail Zoe Lewis on the red carpet at Hype Events LA Spring Fever Festival. Take a look! Abigail Zoe Lewis interviews Ciella for the Hype Events LA Spring Fever Festival at the Federal on April 10, 2016 in North Hollywood, California. HIGH 5-A-THON To Celebrate May's National Mental Health Awareness Month and to Raise Funds for Mission Hospital Laguna Beach and the Mental Health Facility at CHOC Children's! Come out Saturday, May 7th to help STOP the Silence and hear some amazing performances! You can register online at www.EL.Foundation! HYPE Events presents Spring Fever Festival! April 10th at The Federal in North Hollywood. Tickets are available NOW! Click Here for more info. Welcome to my website! My name is Ciella and I am a 18 year old singer/songwriter from Salt Lake City. I am in between SLC and LA working on my music. My musical journey started really young. As a toddler, my family moved to Asia. I had super blond curly hair with huge blue eyes so everywhere we went people called me Shirley Temple and wanted to hold me and take pictures. I love doing that now, but as a child it freaked me out and made me extremely shy. When we moved back to the states when I was four, my mom put me into a performance group to help me overcome my shyness. I sang Mama Mia by Abba and I felt at home on the stage...I had no fear or shyness. It was then I fell in love with music. Then of course, like most every one of us, the junior high years were tuff. Shifting through adolescence seemed to be incredibly awkward and difficult. Then to top it off, my grandfather, who was my best friend and who made me feel the safest, passed away. It was my first experience of death. I drew even deeper into my music. It was the only thing that helped me cope. Then my father bought me my first guitar when I was 13 years old. My life shifted at that point. I remember locking myself in my room every day after school learning song after song. Here I am four years later traveling back and forth to LA finishing up my first EP. The journey to finding my musical style and finding out who I am has been surreal. I have been blessed to have such an amazing team around me. 2017 has started off to be an amazing year. I can't wait to see what the rest of the year has in store for me. Music has helped me grow into the person I am today. It has built my confidence. It has been my councilor. It is my best friend. It is my life. Join me on my journey! SEPTEMBER 18, 2016 - GRAPEFEST FESTIVAL, ALL AGES, 12:00PM-1:30PM, TICKETS! SEPTEMBER 16, 2016 - TEXAS MUSIC PROJECT AT DALLAS LOVE FIELD, 12:00P-2:00PM! AUGUST 14, 2016 - LUCKY STRIKE LA LIVE, 7:15PM, ALL AGES, RSVP! AUGUST 11, 2016 - BULLY AWARENESS NETWORK, 4:00PM-8:00PM, ALL AGES, REGISTETR ONLINE! JUNE 10, 2016 - BAR 20, 7:00pm, FREE Acoustic Show! 21+ Entry! MAY 15, 2016 - BAR 20, 7:30PM, ACOUSTIC SHOW! 21+ ENTRY! MAY 7, 2016 - HIGH 5-A-THON, 11:00am, LAGUNA BEACH HIGH SCHOOL, REGISTER ONLINE! APRIL 10, 2016 - HYPE EVENTS presents SPRING FEVER FESTIVAL, 3:00PM, THE FEDERAL, TICKETS!